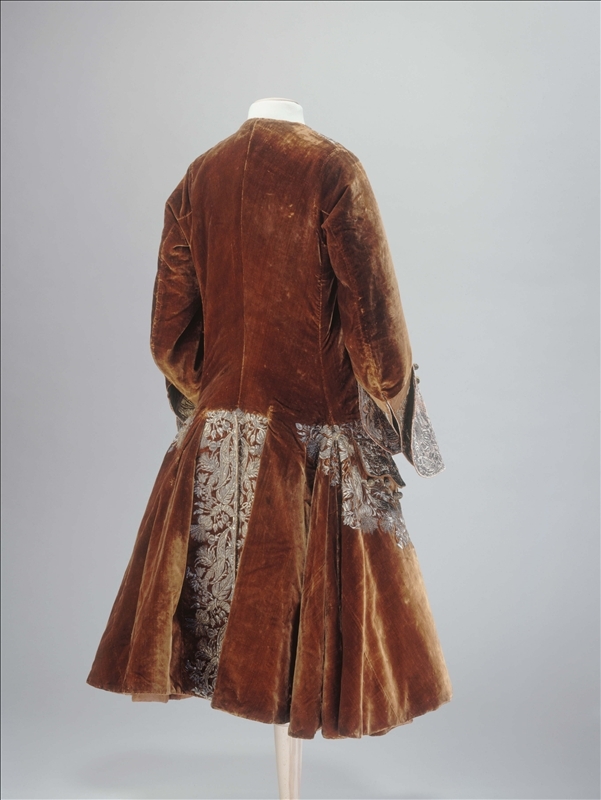 Coat: brown silk velvet, brocaded lampas, glazed cream linen, silk, satin stitch embroidery, gilded silver thread, wooden buttons covered with foil and gilded silver thread. 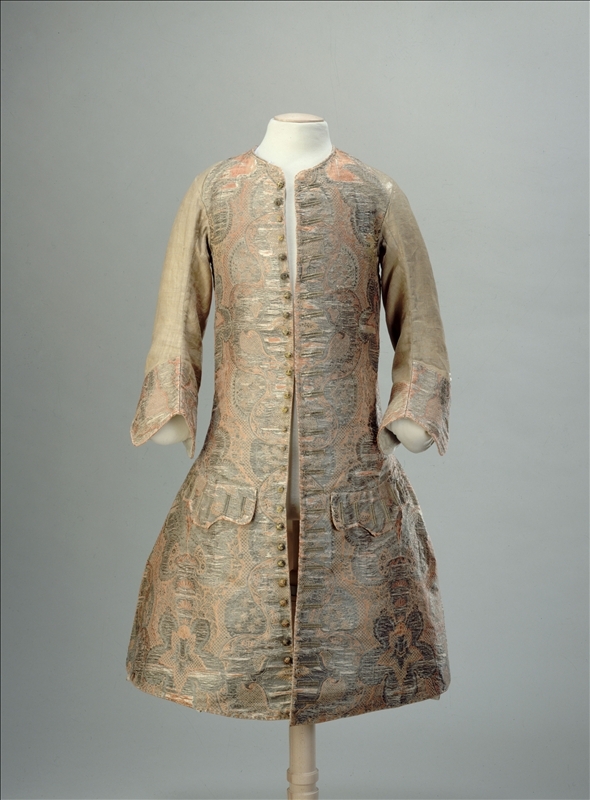 Waistcoat: brocaded lampas, silk; lining: petit façonné cream silk, wooden buttons covered with gilded silver thread. 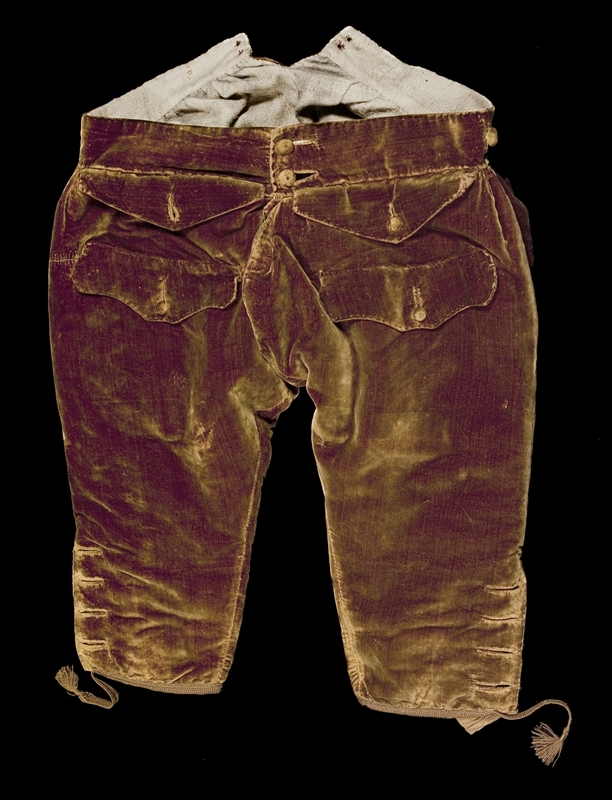 Breeches: brown silk velvet. Lining: cream brushed linen/cotton, brown silk taffeta. This three-part ensemble – coat, waistcoat, breeches – was the basis of any self-respecting male's wardrobe in the 18th century. The padding of the coat and the brushed lining of the breeches suggest a winter outfit. There is no known provenance, but the quality of the fabrics and the workmanship, together with the elaborate embroidery, indicate an aristocratic owner moving in the highest court circles. 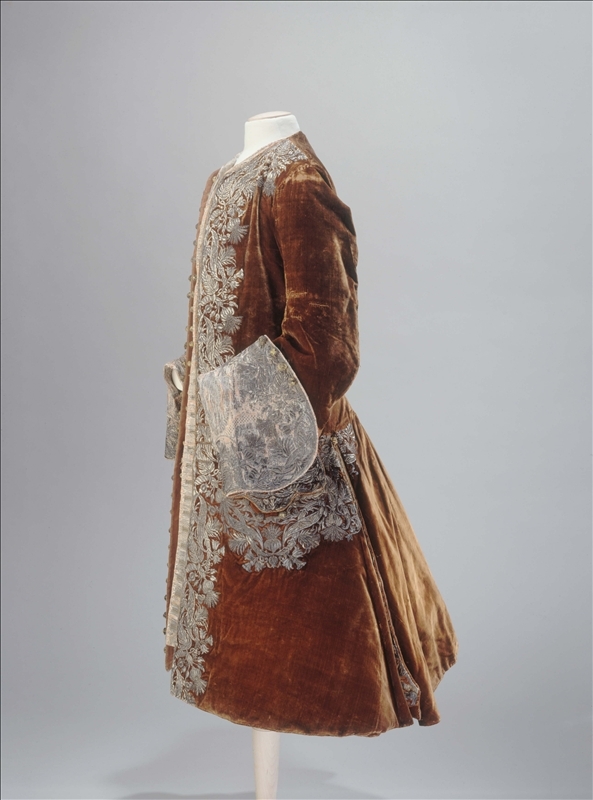 The silk velvet and the 'lacework' figured fabric shot through with gilded silver thread were in the first rank of textile for court garments. The embroidery actually traversed the fabric of the coat, down the front panels and the basques, and on the pockets and the cuffs; this involved extensive use of gold thread. This suit comes from the collection of François Flameng (1856–1923), painter and illustrator, teacher at the Académie des Beaux-Arts in Paris, and a member and patron of the Société de l’Histoire du Costume.